Don't miss out on this gem of a promotion! This pair of earrings is crafted out of sparkling 8mm (about 2 carats each) cubic zirconia. The perfect way to award a well-deserving recipient or to say "I love you" to that special someone! 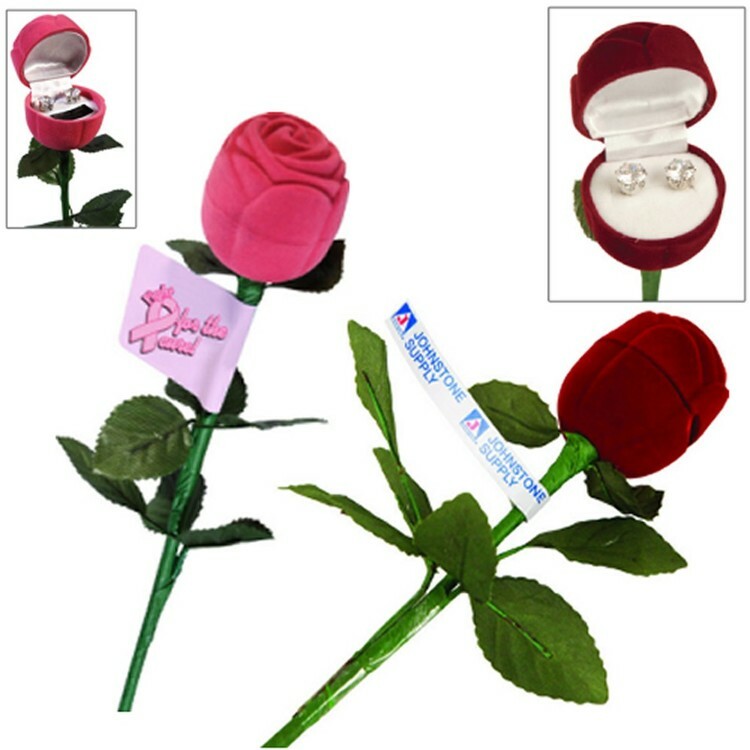 These earrings come in a beautiful velour rose case for added elegance. Rose measures 1 1/2" x 10 1/4" in dimension. Customize this item with your company name so everyone can see what a jewel your business is!